strengthMuscle strength and power that takes place in Golf, that is, helps you develop both brute force compared with other physical activities or sports. 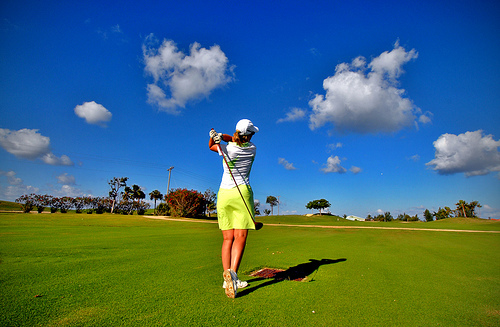 EnduranceCardiovascular endurance constantly providing Golf practice, that is, how much help you cope ejercitándote long compared to other sports or physical activities. AgilityAbility to move the body as desired quickly and accurately obtained by practicing Golf, constantly compared to other physical activities or sports. ReflexesAutomatic responsiveness to stimuli is achieved spontaneous Golf, practice compared to other sport or physical activity. AccuracyHow much will dominate specific body movements to achieve the same result to practice Golf, compared to other sports or physical activities. 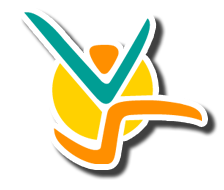 BalanceBoth are able to control the body's muscles to prevent the imbalance by making Golf unlike other sports or physical activities. ConcentrationThe ability to focus mind and senses intention to achieve a specific goal that is acquired by practicing Golf, compared to other sports or physical activities. ToningStylization of the body and muscle derarrollo pruduct of optimal levels of body fat that comes from Golf, compared to other sports. Calorie BurningThat many calories are burned while practicing Golf, when compared to other sports or physical activities. Sport whose objective is to introduce a ball in each of the 18 holes distributed in the field with as few strokes as possible. To move the ball across the field this is beaten with special sticks. 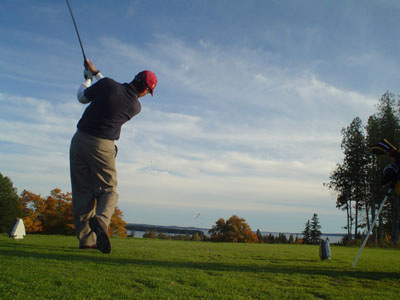 The characteristics of stroke depend on the type of wood that is used and the angle of inclination of his head, there are three basic types of suits: the posts called Driver or wood that are used for long shots (although they are made of titanium or steel), irons for more accurate shots and the putter, generally used to introduce the ball while in the area of Green. Of these 3 types are derived from other known as hybrids. Green is called the green short grass finely care, it is easy to detect because there is where the flag, while the large area of green field before it is known as "Street". The way in which the player holds the stick is named "grip" while the movement to hit the ball is known as "swing". Although its origins are still unclear, some historians mention that sports have begun in the Netherlands, plus they say the word Golf comes from kolf of Dutch origin meaning "stick." A history of golf could be the game were done by the Romans in ancient times, consisted of hit a ball made of feathers with a curved stick. Although the sport as such arose in the XIV century in Scotland, according to legend the sport has 18 holes because that's the extent of drinks containing a bottle of whiskey. Emerged as a game between pastors and ordinary people, where to entertain a ball was beaten with sticks to take her to a certain goal, then was refined it and established the rules for their control. Gradually the game became popular and quickly jump the barrier of social classes, who started the practice, as well as adapt it to their aristocratic lives. Such was the acceptance that King James II of Scotland banned it because he feared that his subjects to abandon the practice of archery, as this was essential to the military needs of the time. In the XV century the ban was lifted because it had become so popular that most of the subjects ignored the law. In Scotland, the Golf went to France and soon after to England, where it was adopted as an activity for very select people. Although the first game of which we have records was the confrontation between the Prince of Wales to John Paterson, a shoemaker skilled in the game (1682), because early in the Golf participants were equal in the field. It was due to English influence that golf was considered an elite sport and with that reputation went to the United States. For the XVIIIth century was founded the first association in Scotland, named "Honourable Company of Edinburgh Golfers" (1744), the following year in the United Kingdom created the first official regulation of Golf. 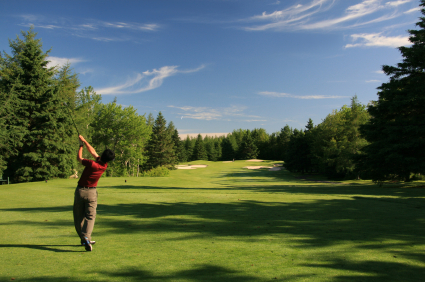 The first golf club known in our continent is the "Canada's Royal Montreal Golf Club" founded in 1873. From that time until now the Golf has spread worldwide, although its practice is still not available to everyone, this tries to being changed over time. 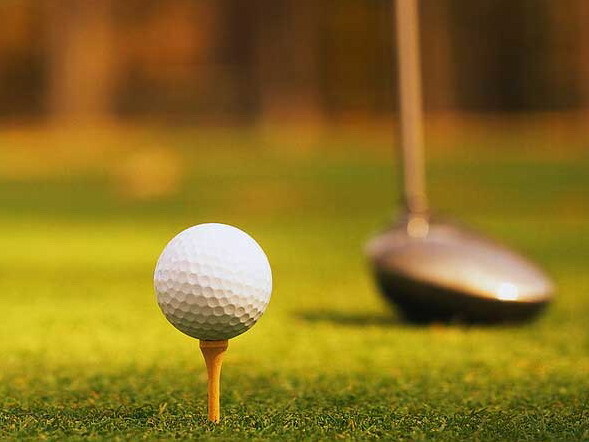 Hole in one: is the name given when the ball enters the hole in the first blow. Par: Used to tell the number of blows which should make the hole. If the ball goes into the hole with one stroke of the above with the pair, is called a "birdie", but if you made the hole with one stroke over par is told "boogey". With two strokes less, "Eagle". With three strokes under par, "Albatross". Handicap refers to a title that indicates the knowledge of the game. What gives some advantage when completing the course par. The "hole" must have a diameter of 41/4 inches (108 mm.) And at least 4 inches (101.6 mm.) deep. A "tee" is a device designed to put the ball up. Should not be longer than 4 inches (101.6 mm.) And must not be designed or manufactured in such a manner that indicates the line of play or exert influence on the movement of the ball. The Golf is played, for the most part, without the supervision of a arbiter or judge. The game relies on the integrity of the individual to show consideration for other players to follow the rules. All players should conduct themselves in a disciplined manner, demonstrating courtesy and sportsmanship at all times, regardless of how competitive they are. 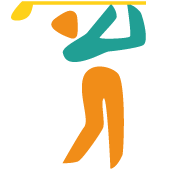 Players must ensure that no one is near or in a position where it can be beaten with a stick, ball or any stones, pebbles, twigs or other objects while making a practice swing. If a player plays a ball in the direction where there is danger of hitting someone, immediately shout a warning. The traditional word of warning in such a situation is "fore". Do not disturb or distract other players moving, talking to them or making any unnecessary noise. Players should not stand close to or directly behind the ball, or directly behind the hole when a player is about to play. Players should be ready to play as soon as it is their turn to do so. When playing on or near a green, should leave their bags or carts in such a position that allows them to rapidly shift from green to next teeing ground. When the play of a hole is completed, players should immediately leave the putting green. If a player believes his ball is lost outside a water hazard or has exceeded the bounds, to save time should play a provisional ball. A bunker is a hazard consisting of a prepared area of ground, often a hollow, which has grass or dirt removed and replaced with sand or something similar. Players must fix them once they have finished playing, but these changes in the field have not been made for them. 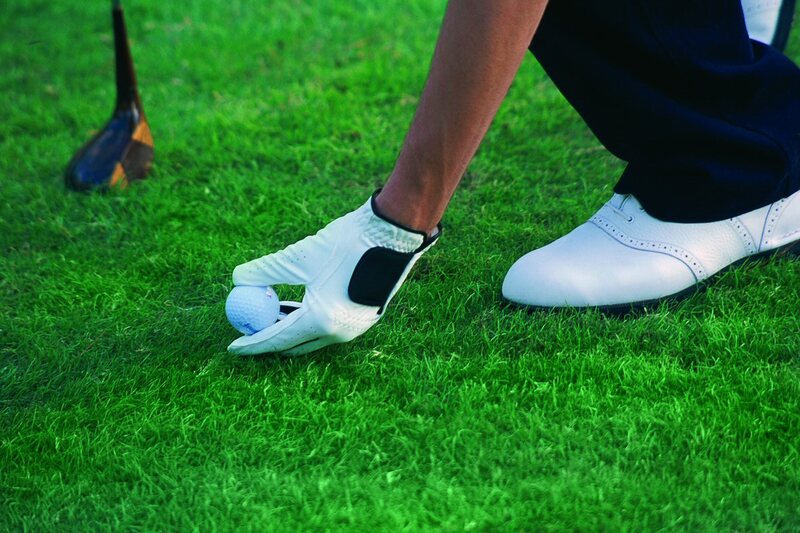 A player or caddy must not take any action to influence position or movement of a ball, except when the rules allow. (Remove a loose impediment or obstruction). Named for a custom that was to reward the winner with a medal, is the most common form of play in the Golf as used in professional tournaments and tournaments a day. Unlike the first this is a system of stroke play. The winner is who made the rounds in the fewest possible strokes. Everyone against everyone play. It is a match play system normally used in professional competitions, whether competitions by eliminatory or in team matches. Here wins the hole who has done in fewer strokes than his rival and is not necessary to finish putting the ball in the hole (given putt worth). Holes accumulate earned and subtracting the lost. Other game modes are Stableford, Open, Fourball, Eclectic, Foursome, Four balls, Greensome, Canada Cup, Skins, Union, Presses, Backgammon, etc.